Our June article was all about how to get beautiful radiant skin using all natural ingredients. Since there are just SO many amazing foods that are beneficial to the skin when used as a mask, moisturizer, or even as part of an exfoliator, we decided to share with you even more amazing ingredients that you can find right in your kitchen! All these wonderful foods have great benefits for your skin and overall health with NO hidden ingredients. They are all being used in the facials we offer at our clinic! You can choose from 5 different facials to fit your specific needs for healthy, glowing skin. All of the ingredients listed below have their own unique set of benefits for the skin as well as your overall health. Remember, while it is important to care for your skin from the outside it is even more crucial to start the healing process from within. Therefore, it is important to eat a healthy balanced diet. Don’t forget to incorporate these foods/drinks into your diet and reap their amazing benefits both internally and externally! Honey has antibacterial properties, which helps in fighting acne and pimples. It reduces infection and is a very effective home remedy to treat acne. Honey is also antiseptic. When honey is diluted with water, it produces hydrogen peroxide. Hydrogen peroxide is an antimicrobial agent and is used as a mild antiseptic. Therefore, honey is useful in treating cuts, wounds, and abrasions. Honey is a good cleanser for the skin. It soaks up impurities from the pores of the skin, leaving your skin clear and clean. Honey is an effective moisturizer. It retains moisture making your skin radiant, soft and supple. Honey is a natural remedy to prevent wrinkles and slows down the ageing process. Honey antioxidant properties make it capable to fight against skin damage and skin aging. 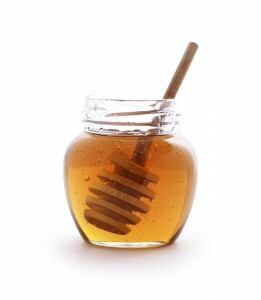 For a golden glow apply 1 teaspoon of honey onto your skin and leave for 15-20 minutes. Rinse off with warm water. Green tea has a wide variety of benefits for the skin. It contains a great deal of antioxidants which are effective against free radicals. These free radicals, which are formed when the skin is exposed to the UV rays of the sun, are accountable for premature aging. Green tea has also been found extremely effective in protecting the skin against sunburn. This wondrous natural component is also responsible for the cell renewal process. On occasions of skin inflammation, green tea acts as a great soother. It has also been found that green tea shows improvements among cases of psoriasis and rosacea, accompanied by inflammation. In cases of acne and pimples, green tea is a great aid, as the antibacterial content in it, known as catechins, reduces over stimulation of the skin hormones. Further, the overall appearance of the skin is also improved along with complexion when green tea is used as a drink or as a mask. 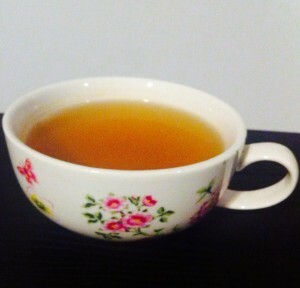 To use green tea as a toner brew a fresh cup of green tea, place in a small container and store in your fridge. With a cotton pad dab the green tea onto your skin twice a day. Coconuts are an excellent source of nutrition and have healthful meat, juice, and oil. The oil is arguably the most nutritious and has many health benefits. Coconut oil is over 90% saturated fat and has antimicrobial, antibacterial, and antifungal properties. It also has antioxidant properties and helps in the absorption of other minerals. Coconut oil is an incredible source of medium chain fatty acids which have been shown to have many health benefits. Coconut oil is an excellent massage oil for the skin as well. It acts as an effective moisturizer on all types of skin, including dry skin. The benefit of coconut oil on the skin is comparable to that of mineral oil. Fortunately, unlike mineral oil, there is no chance of having any adverse side effects on the skin from the application of coconut oil. 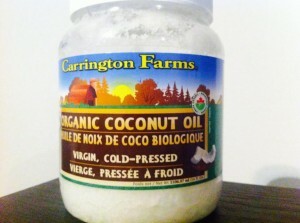 Coconut oil, therefore, is a safe solution for preventing dryness and flaking of skin. It also delays the appearance of wrinkles and sagging of skin which normally accompany aging. Coconut oil also helps in treating various skin problems including psoriasis, dermatitis, eczema and other skin infections. Coconut oil also helps in preventing premature aging due to its well-known antioxidant properties. Certain fats are essential to the diet. Coconuts lend a very versatile substance that can help protect us against infection, improve our skin and improve our cooking. Look for coconut oils in the health food section of your local grocery store and enjoy. Use coconut oil as a cleanser or moisturizer for balanced hydrated skin! Coconut water can be used as a moisturizer during both summers and winters. It has a light consistency and can be an excellent moisturizer that can be applied all over the body. It is an ideal moisturizer for people with oily skin as it helps to reduce the oiliness of the skin. Coconut water consumption enhances the skin from within. Skin hydration is very important. Dehydration can sap all the charm and leaves the skin lifeless. 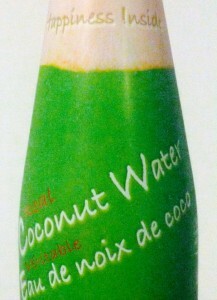 Coconut water treats dull and dry skin and imparts a glow to the face. It has natural properties which hydrates the skin giving a glow and smoothness to the face that you have always wished for. Poor oxygen circulation results in impurities getting deposited on the skin. Each and every cell in the body needs an adequate amount of oxygen which is possible only through proper blood circulation in the body that carries oxygen throughout the body. Coconut water is very effective in boosting proper circulation in the body, thereby allowing the skin to breathe a lot of healthy oxygen which in turn promotes a healthy and flawless complexion. Skin ageing is the most common problem for everyone, and more than the age, it is the pollution and chemical laden cosmetics which steal your natural beauty away. The presence of cytokinins in coconut water has anti-ageing properties. To look younger, drink coconut water regularly to keep your skin fresh, healthy and glowing. Another skin problem that most of us suffer from is skin infection, especially during the monsoons and summers. Coconut water has many healing, anti-viral, anti-microbial, and anti-fungal properties which keep skin safe from infections. You can apply it directly on the skin or can even mix it in your bathing water. Both ways you can treat the infection to a great extent. Coconut water is a blessing for oily skinned people. It helps to wash off excess oil from the skin, cleanses the oil and makes skin tone more even. People with Oily skin tend to have a shiny face. Coconut water helps to control shine and provides a natural glow to the face. Washing your face with coconut water regularly can also eliminate acne, black spots, wrinkles and blemishes on the skin. Stubborn acne can also be treated by making a mixture with 25 grams of turmeric paste with a glass of coconut water. Leave this overnight, then add 3 teaspoons of red sandalwood powder and stir all the ingredients well. Save this mixture undisturbed for 3 days. Strain the mixture and apply on the face till acne disappears. Coconut water is rich in antioxidants that help to remove free radicals which damage the skin. Free radicals come from stressors within our own body. Emotional stress reduces the flow of blood to our skin and contributes to the aging process. Consuming coconut water in high quantities improves the skin health and vitality, and removes damaging free radicals from the body. Use coconut water as a final rinse instead of regular water during your skin routine to reap these amazing benefits and don’t forget to drink up this amazing beverage! Apple cider vinegar can be used as a topical astringent for acne prone skin, and some even report that taking ACV orally every day has helped clear their skin. Add a cup of apple cider vinegar and a cup of Epsom salts to a hot bath to draw toxins out through the skin and help jumpstart the cleansing process. This can also help relieve joint pain as well as skin conditions like eczema and acne. ACV contains beta-carotene which works well in countering damage caused by free radicals, giving us healthy skin and a youthful complexion. Apple cider vinegar has antiseptic and antibacterial properties which help in protecting our skin from pollution and harmful bacteria. 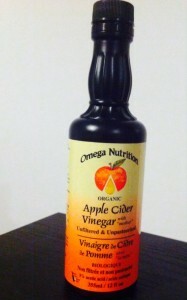 Apple cider vinegar has the ability to restore and balance our pH factor. Apple cider vinegar has a pH factor of about 4.5 to 5.5, which is very close to the ideal pH factor for human skin too. Alleviate age spots.-Apple Cider Vinegar contains sulfur that fights the effects of aging, including age spots. Dab age spots, or liver spots, with ACV every night before you go to sleep. Do not wash off the vinegar. If you feel a stinging sensation, dilute the vinegar with water. Wash off in the morning. 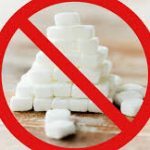 Remove warts-Try this for a home wart removal remedy: Soak a cotton ball with apple cider vinegar and attach it to the wart site with a band aid. Leave overnight. Repeat each night until the wart disappears. For acne prone skin mix one part vinegar to 3-4 parts water. Apply solution directly to your skin with clean cotton pad, and leave it there for about ten minutes. After ten minutes, rinse off the vinegar. Repeat this three times a day. For severe cases of acne, the solution can be used overnight without rinsing. 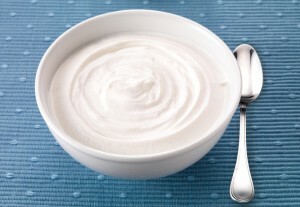 Yogurt is a delicious, multi-vitamin packed food that is great for breakfast and can also be eaten as a healthy snack. But did you know that you can use yogurt for skin? Yogurt for skin has been used since ancient times. In India, using yogurt for skin is still valued as a great way to clear off acne and pimples. Even Cleopatra from ancient Egypt is famous for her daily sour milk baths that kept her skin glowing and youthful. Zinc not only contains anti-inflammatory properties that can help reduce red swellings caused by acne or rashes but also have mild anti-astringent properties that help tighten tissues. Also necessary for cell reproduction and growth of tissues, zinc reduces the size of acne and pimples. Additionally, zinc in yogurt helps regulate oil production in the sebaceous glands thereby preventing oily skin and frequent acne breakouts. Highly used in many skin care products, lactic acid is one of the key ingredients in yogurt. It helps smoothen rough skin, exfoliate skin and moisturize dry skin, among others. Besides that, lactic acid is also very beneficial in helping steer away wrinkles and reducing any already existing wrinkles. Much of the epidermal layer of the skin consists of calcium! It is not only necessary for strong bones and teeth but also skin regeneration. Being a derivative of milk, yogurt is jam packed with calcium, which has great anti-oxidant power. The anti-oxidants provided by calcium help prevent and also heal dry scaly skin. Calcium in yogurt also facilitates skin renewal. Yogurt is rich in vitamin B2 (riboflavin), vitamin B12 and vitamin B5. One serving cup of yogurt contains 30.5% riboflavin which is a beneficial vitamin in yogurt for skin that is glowing and hydrated. Riboflavin is necessary for cell growth and regeneration and also protects skin cells from oxidative damage by free radicals. Vitamin B5 is responsible for facilitating manufacture of healthy fats in cells. When buying yogurt for skin, be sure to check that your yogurt is the unsweetened (plain) type. The different flavoured yogurts may cause irritations and may also aggravate pimples or rashes if present. If you’re purchasing the yogurt rather than making it at home, buy the yogurt that contains fat and live cultures to see true beautiful results. You may also use yogurt for skin that is in cream form. That way, things won’t get very messy when applying the yogurt. Call K-W Homeopathic Medicine and Wellness Clinic today at (519) 603-0505 to make an appointment and experience the benefits of our relaxing all natural, non-toxic facials for yourself.